How mad is this? 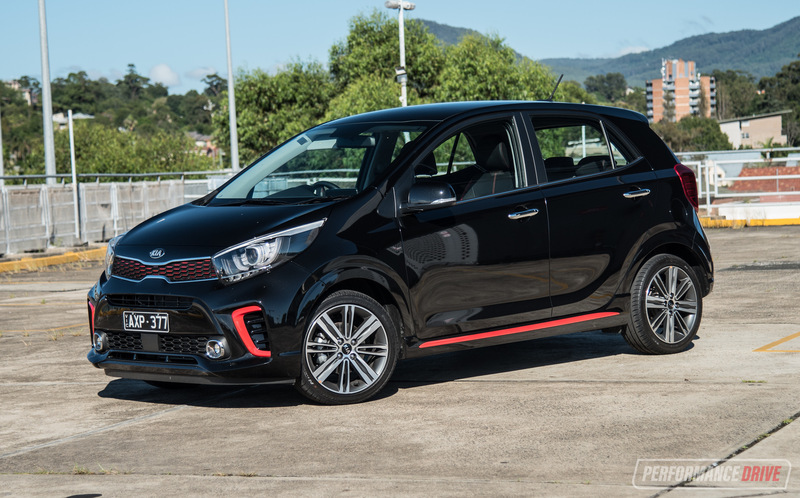 It’s a hot hatch that’s rear-wheel drive and powered by a turbo inline six engine, and it features a six-speed manual transmission. It’s the kind of crazy combination you’d usually only see in a one-off concept or a custom conversion. 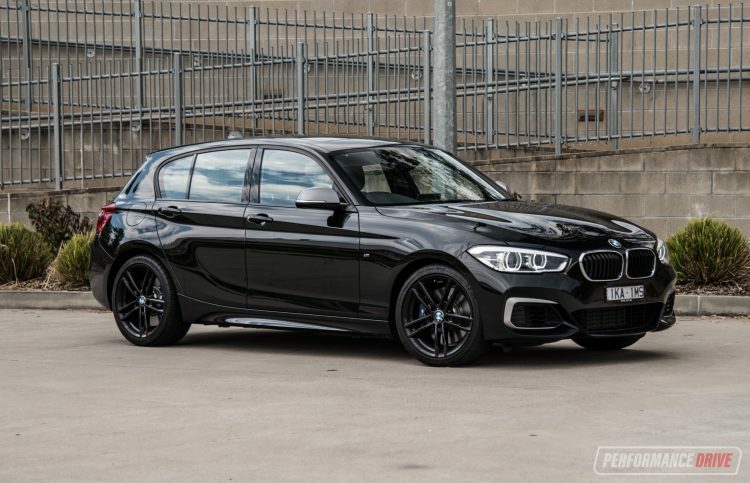 Well, BMW produces it everyday with the M140i. But it won’t be for much longer. For the next-gen 1 Series, due next year, BMW is set to switch to its UKL-based platform, used on MINI models and the BMW X1 and 2 Series Active Tourer. 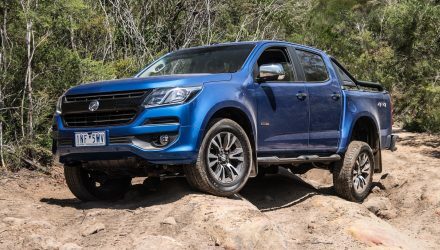 Crucially, it adopts what’s known as an ‘east-west’ engine mounting that supports only front- and all-wheel drive, unlike the current north-south rear-wheel drive layout. 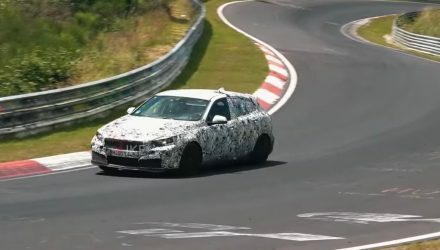 This means the current 1 Series could be the last-ever mainstream rear-wheel drive hatchback, especially one available with an inline six. 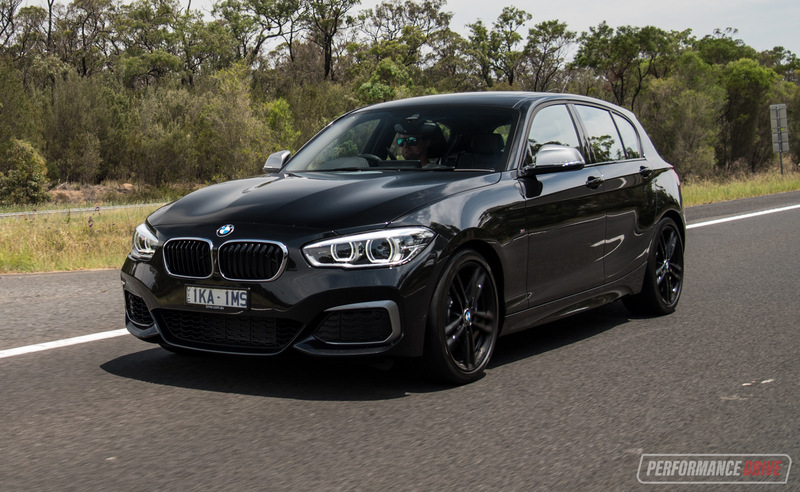 Manual transmissions are also getting closer to extinction, giving even more luring power to the M140i. 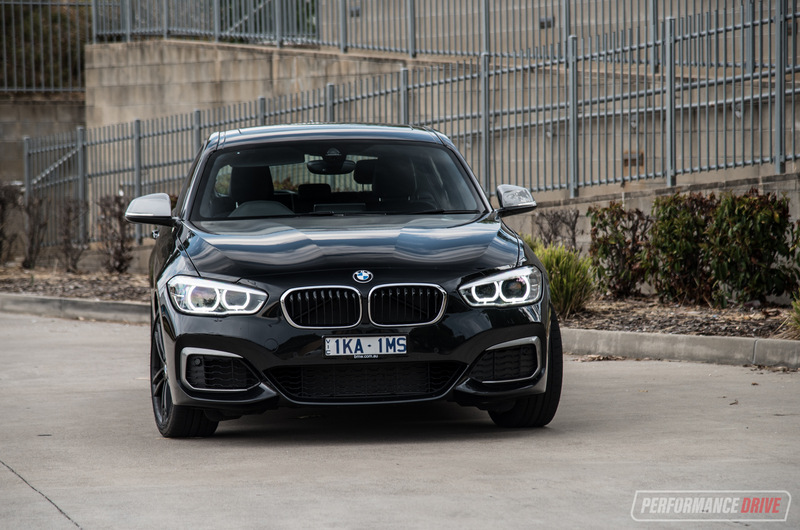 BMW Australia recently dropped the prices for the hot hatch, so the M140i now starts from a very reasonable $59,990 (no price difference for manual or eight-speed auto). 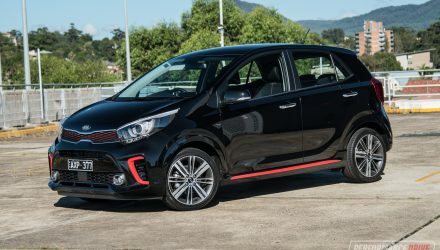 This price point puts it very close to some of the non-premium flagship models such as the VW Golf R and the Ford Focus RS. Need we say more? 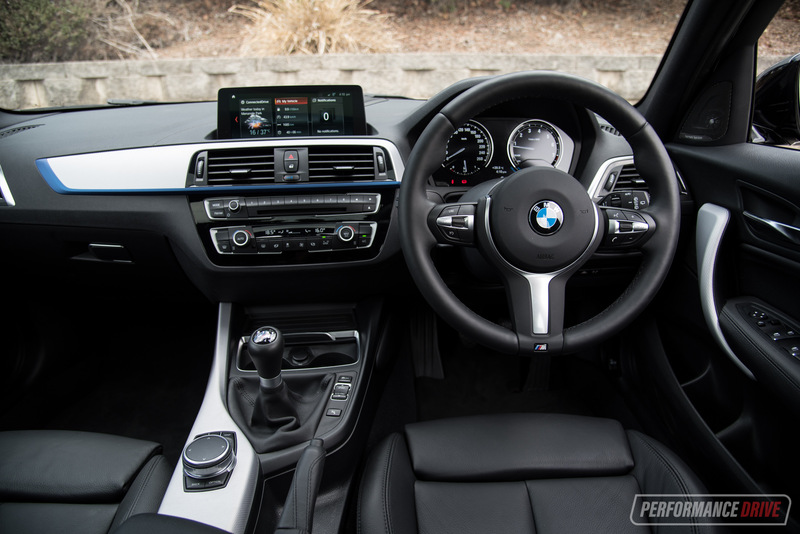 Nestled in the chunky sports front seats that feature adjustable side bolsters, the BMW M140i offers a pretty clean and fuss-free dash and console. 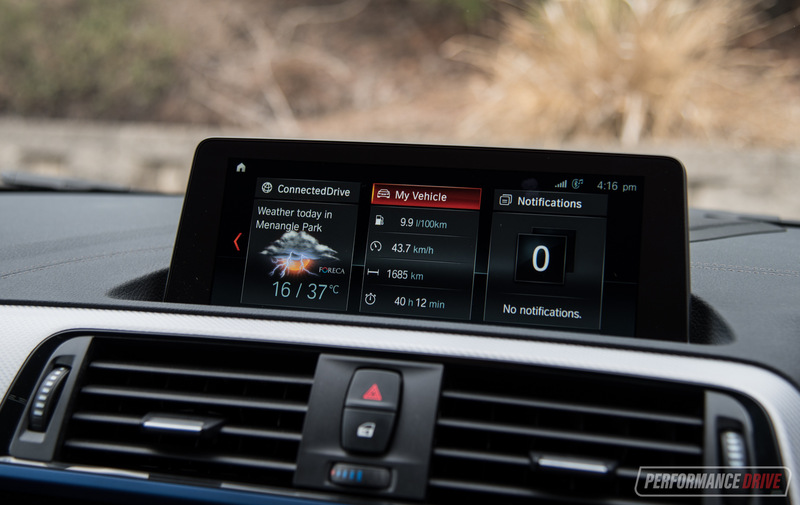 The new iDrive 6 infotainment system is comprehensive and may require some teething time to get used to if you haven’t used these hand controller setups before. But for those who have the system is excellent. The menus are intuitive and the quick jump-to buttons around the main hand controller soon become second nature so you don’t even need to gaze down. Crisp graphics with a nice colour palette makes it all pleasant to the eye, and thanks to the new app-style layout that works horizontally across the screen, replacing the vertical list from before, it is modern and advanced enough to keep even the savviest of users content. In our opinion, it is one of the better systems currently on the market and certainly in this class. 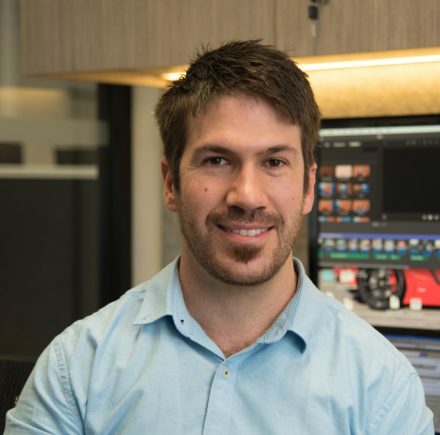 We like that almost everything can be adjusted, including brightness and display configurations, and most menus remain present and don’t disappear into never-never land every time you make a selection. Accommodation is adequate, with two cup holders in the front and huge door pockets with integrated bottle holder sections and spots for your phone. Headroom is also decent in the front, making it all quite a free and open living space. 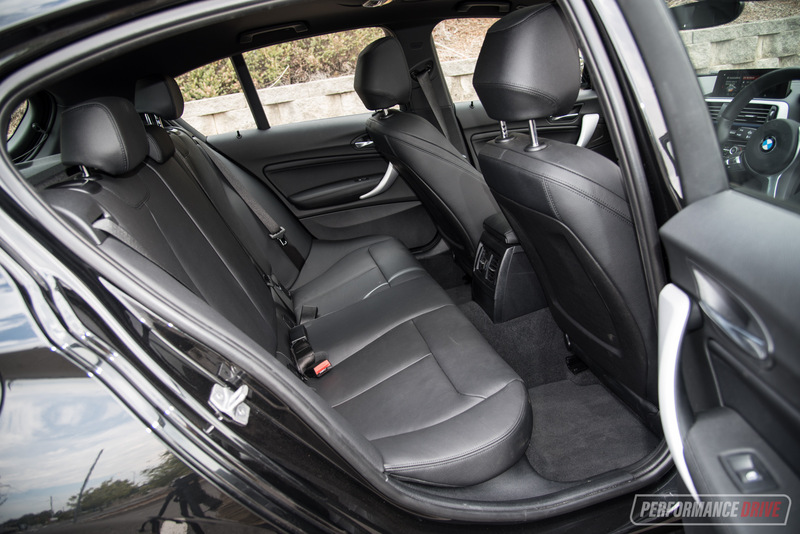 In the back the legroom is on the tight side compared with many of the front-wheel drive rivals – one of the reasons carmakers switch to FWD, for better packaging – but there is climate venting with temperature control (not something you usually see in the small car class). Disappointingly, there are no pockets in the backs of the front seats. Instead, there’s a pretty nasty and cheap-feeling plastic panel. 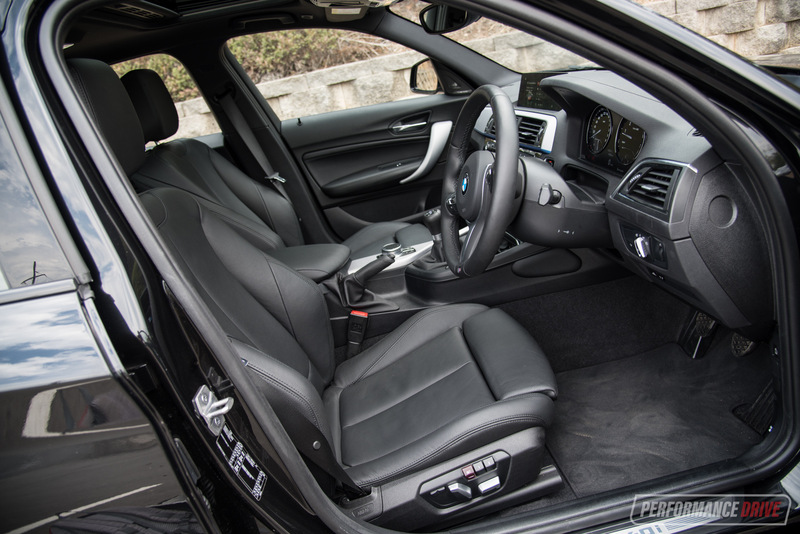 Some similarly cheap plastic is used for the lower half of the cabin too, perhaps understandably for BMW’s smallest and most affordable model? There’s also no flip-down armrest from the middle seat and no bottle holders in the rear doors, both not boding well for the limited accommodation in the rear. 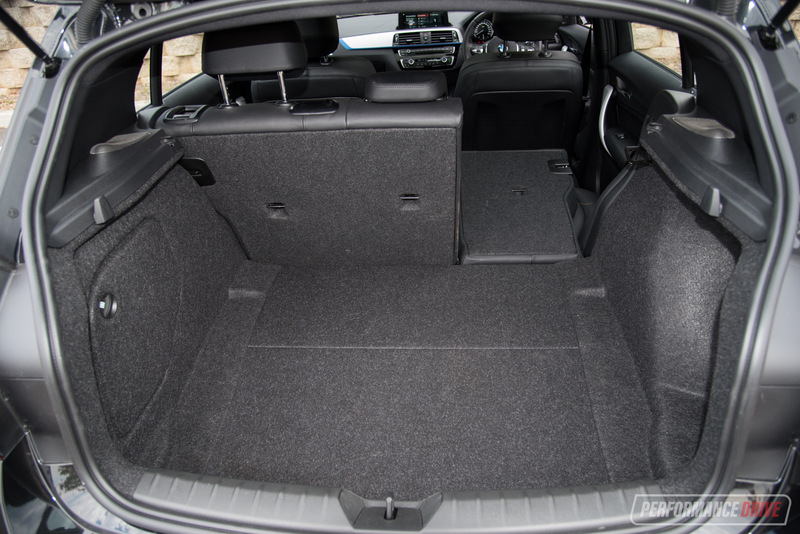 Boot space is rated at 360L, which is pretty small for the class (again, a sacrifice of rear-wheel drive). But it is expandable to 1200L with the rear seats folded flat. And they do fold almost completely flat. Buyers can option for an access hole for the middle rear seat, which is, strangely, $577 – a very precise price for a hole. 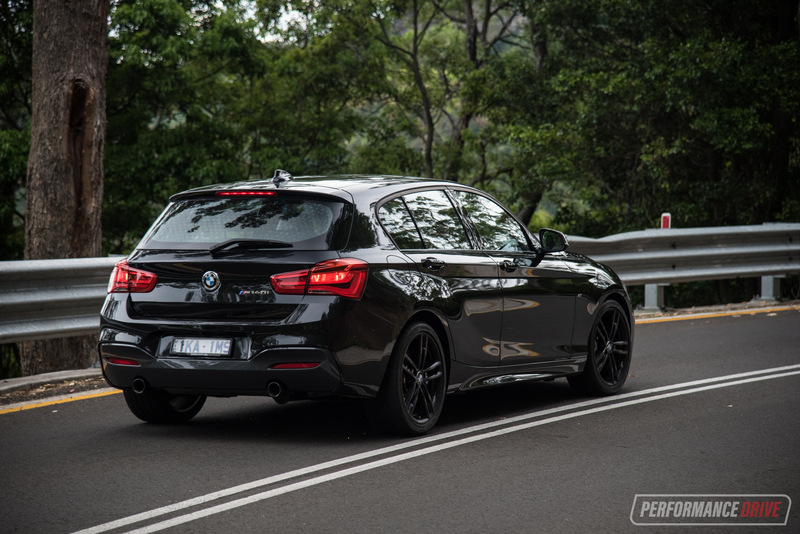 The M140i is the flagship of the 1 Series range, so, as no surprise it comes packed to the brim with standard stuff. 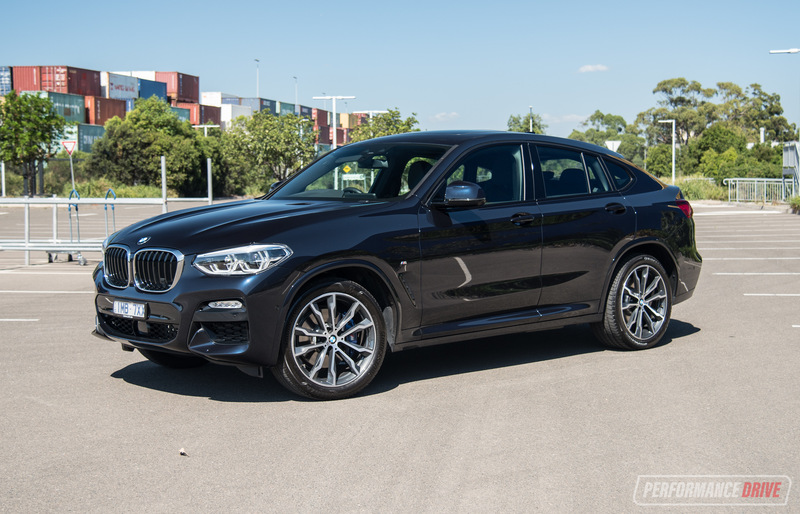 Unlike some of the other luxury car rivals, such as Audi and Jaguar, BMW hasn’t stripped back on features to make this more affordable and doesn’t strike you with alarming option prices when you start speccing it up. Although, an electric sunroof will set you back an extra $2000, and heated seats command a $500 premium. Interestingly, leather is standard but you can option for an Alcantara trim at no cost. One option that has caused some flack is Apple CarPlay, which is $479, with no Android Auto option. 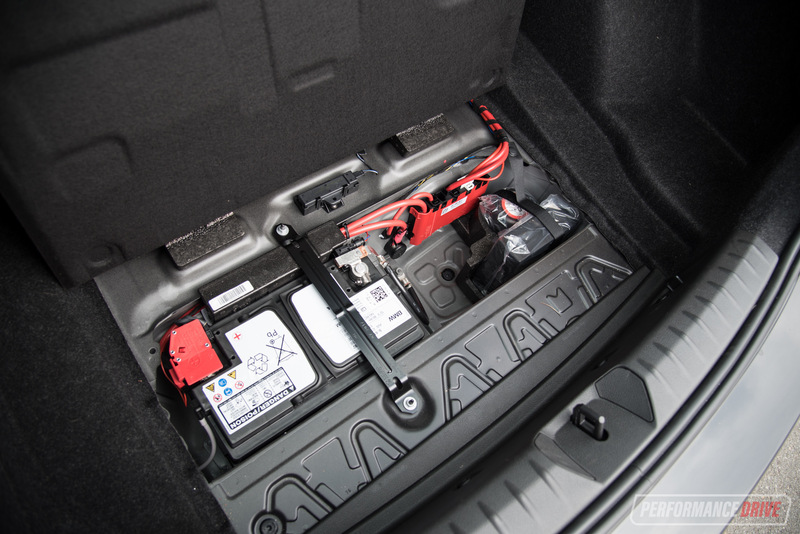 But, you’ll likely enjoy the iDrive 6 system so much that you won’t miss such technology. 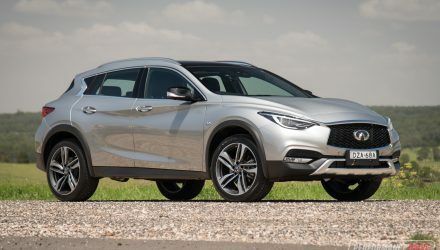 The standard interface is already capable of displaying your phone messages and connecting to the internet, with sat-nav and music streaming of course part of the package as well. 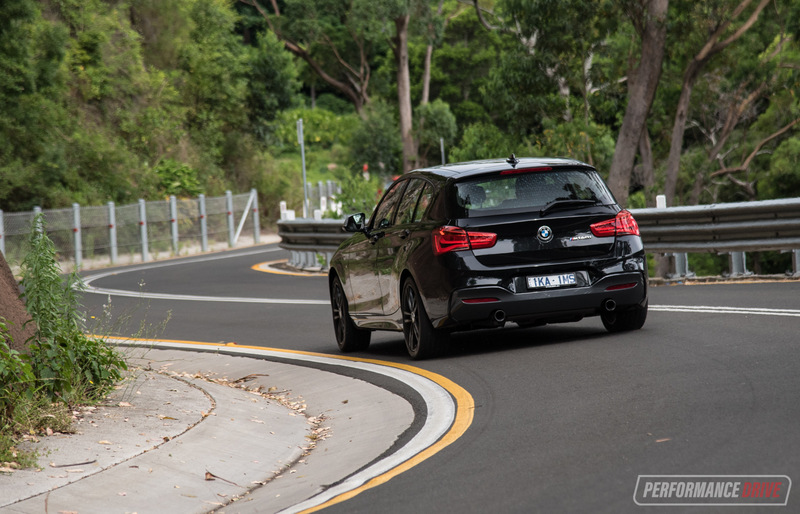 The best way to describe the drive experience of the M140i is to just read over the vehicle’s basic foundations; it’s a rear-wheel drive hot hatch powered by a turbo inline six engine, hooked up to a six-speed manual. What do you think it’s going to be like? It’s bloody fantastic. 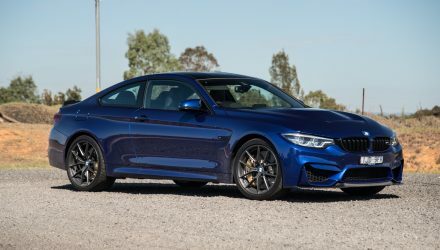 And even better that it’s a BMW, so it’s a genius when it comes to steering and handling, meanwhile using one of the sweetest inline six engines ever made and paired with one of the nicest-shifting manual gearboxes. 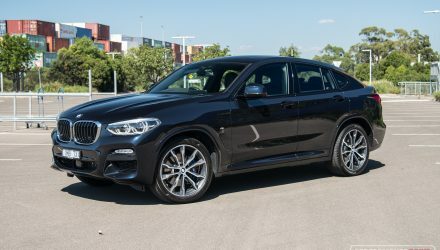 The engine is BMW’s latest ‘B58’ 3.0-litre inline six using twin cams, twin variable valve timing, and a ‘TwinPower’ (twin vein) single turbocharger. 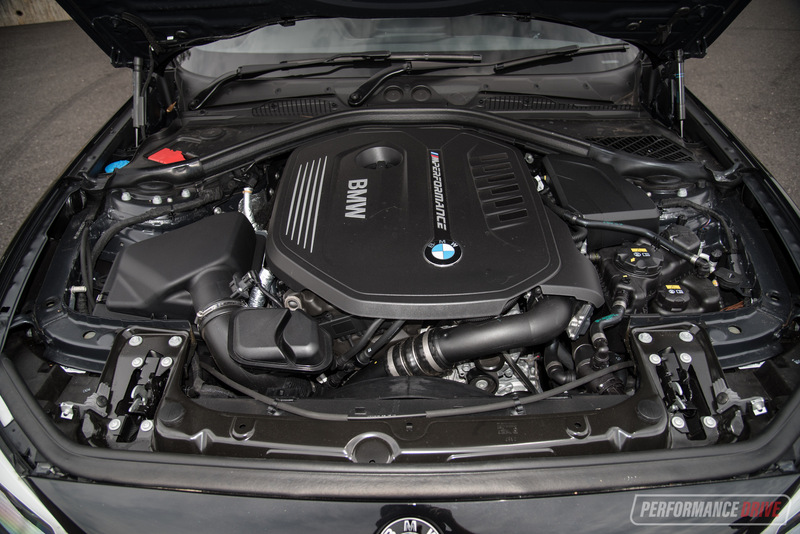 This is an evolution of the old N55 engine, adopting a higher compression ratio of 11.0:1 and more turbo boost. 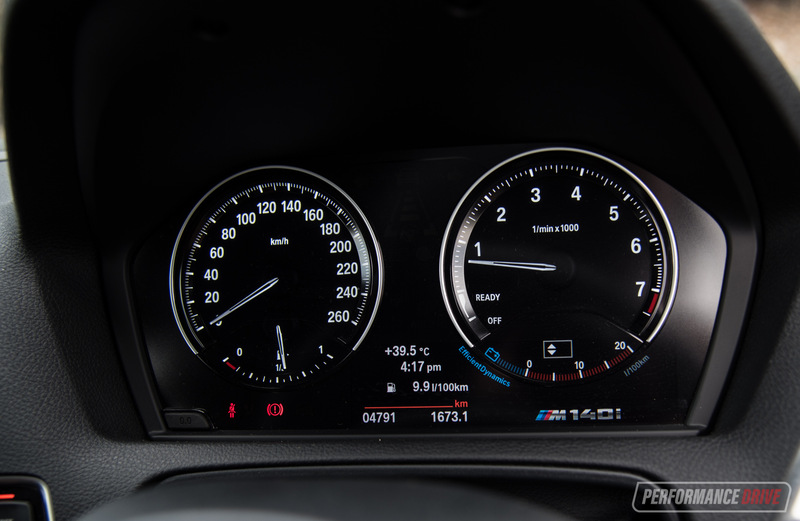 Peak power, all 250kW of it, is available at 5500rpm, which is pretty low rpm for a BMW six. But don’t worry, you can rev it to 7000rpm and it’ll sing along with you like a backup tenor at the opera. What’ll be of greater interest is the torque. An impressive 500Nm is available between just 1520rpm and 4500rpm. Out of corners, the response is incredible forceful with plenty of that gut-turning g-force pushing you back into your seat. 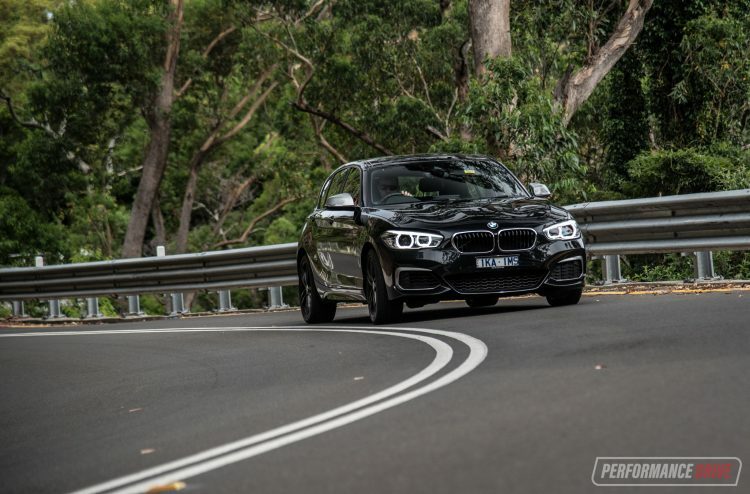 Get a nice launch off the line and it’ll clock 0-100km/h in 4.8 seconds, BMW claims. The best we could do was 5.18 seconds, which is still very quick considering the power output; cars that do quicker often have heaps more power. As we said though, it’s all about the launch which can be tricky with the manual. 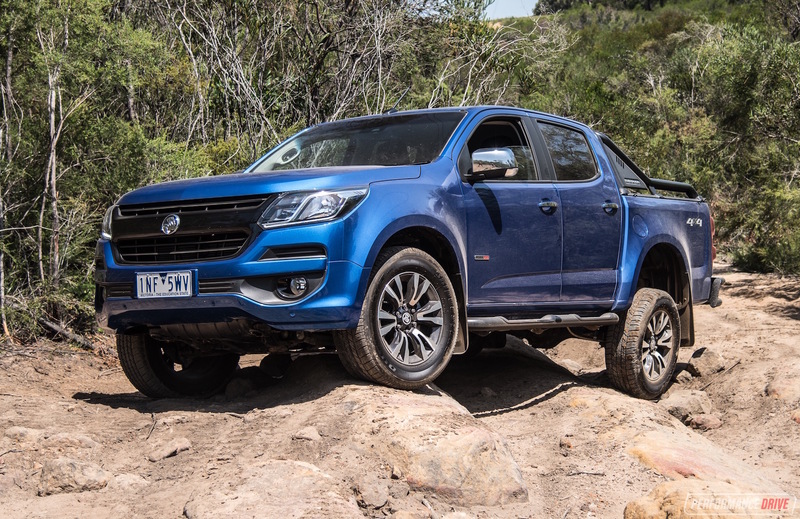 Going for the automatic sees the factory claim drop to 4.6 seconds, and we have full confidence that you could get pretty close to that in the real world, having sampled an auto version in Tasmania last year during the official media launch. Speaking of which, the ZF eight-speed auto is just as appealing as the manual. 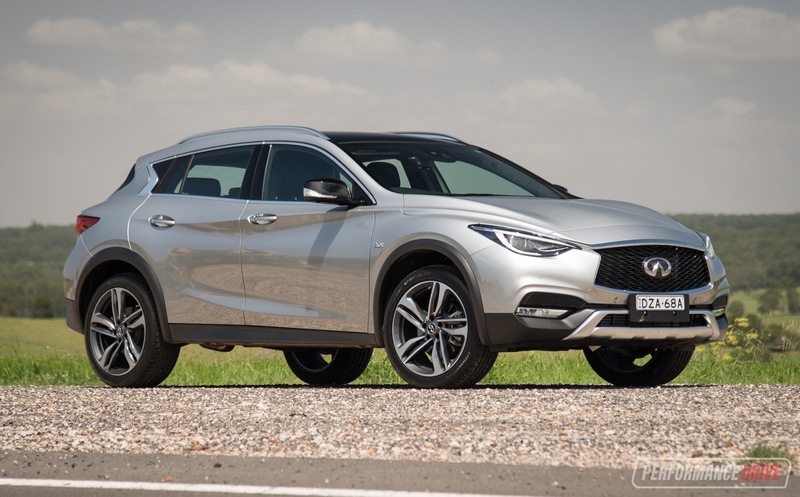 And we know, the manual is the ‘cooler’ option that everyone says they would choose, but in day-to-day conditions, driving to and from work and so on, we’d seriously consider the auto if it came down to the crunch and we were about to sign the cheque. It does feel a lot quicker and punchier from point to point, the auto, as the gearchanges are so quick. Much quicker than what you could ever achieve with the manual. And it’s less tiring, which means you can sprint for longer and enjoy it for longer before fatigue sets in. You also get the fashionable fart noise from the exhaust during upshifts in the auto, adding another degree of attraction. The manual is superb though. Each gear shift feels like a well-oiled but very important machine has just been engaged. All ratios are nicely spaced, and the pedal placement is supportive of heel-and-toe downshifting. 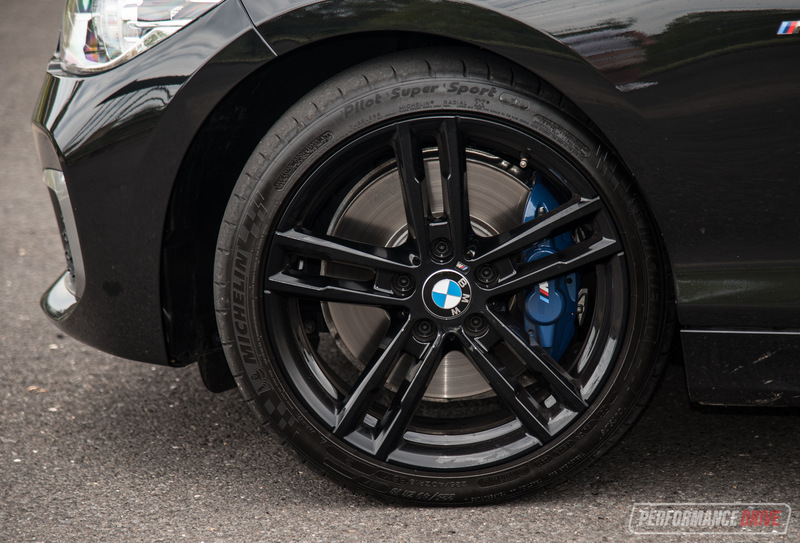 With all of that torque from the engine you can easily pull away from roundabouts or turn into right-angle streets leaving it in third gear, and it will surge you up to speed with no trouble at all. As for the handling. Well, what can we say. It’s brilliant. You can thread the nose in exactly where you want it, apply power and it’ll sling you around with confidence. 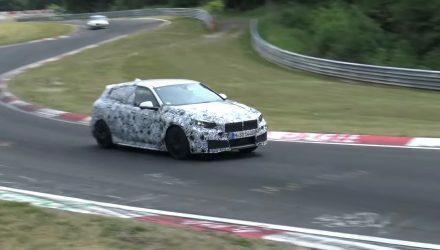 It’s a pretty stiff ride from the M Performance suspension, but the upshot is almost zero body roll and very precise tracking. The M140i doesn’t come with a limited-slip differential as standard, but there is a differential lock that only works in tandem with the stability control. Switch it off and you switch off the locking diff. We don’t reckon it’s a major issue, even driving with aggression. Inside wheel wheelspin is minimal (with stability off) unless you put it into a weird position, such as apply too much throttle going up a very tight and steep hairpin turn. 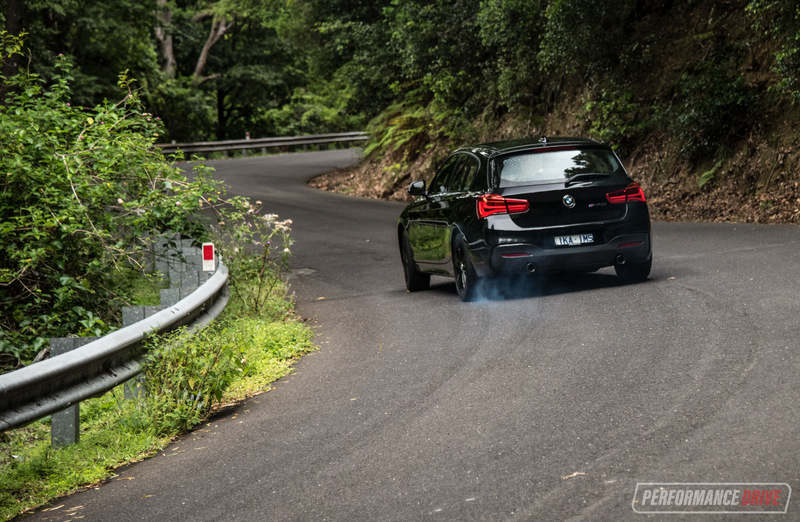 Using the natural momentum and weight shift during normal cornering means the diff hooks up just fine and gives you plenty of traction, or, if you prefer, a dash of power-oversteer. 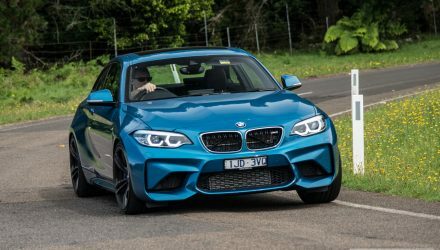 We suspect BMW hasn’t fit a limited-slip diff because it might get too close to the BMW M2 in terms of track and cross country performance. We don’t think the steering is quite as solid as some of the upper BMW models, with a touch of vagueness right on centre. But we must reiterate, that’s only compared with other BMWs. 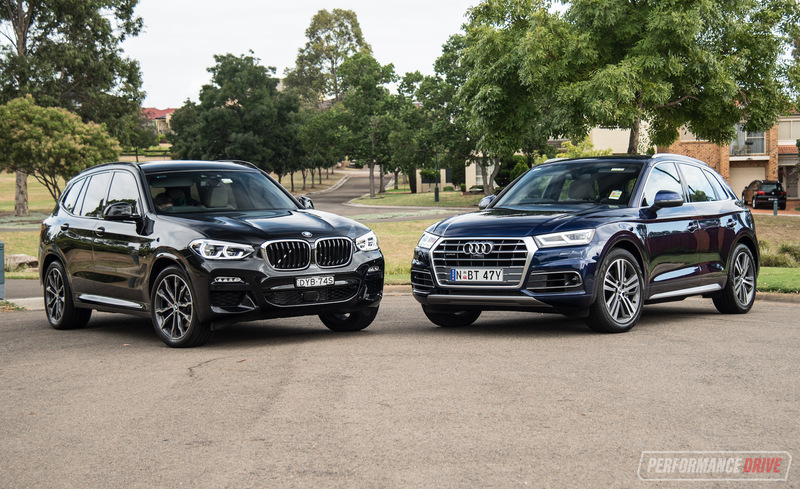 Compared with market rivals the steering sets the benchmark, there’s no doubt about it. 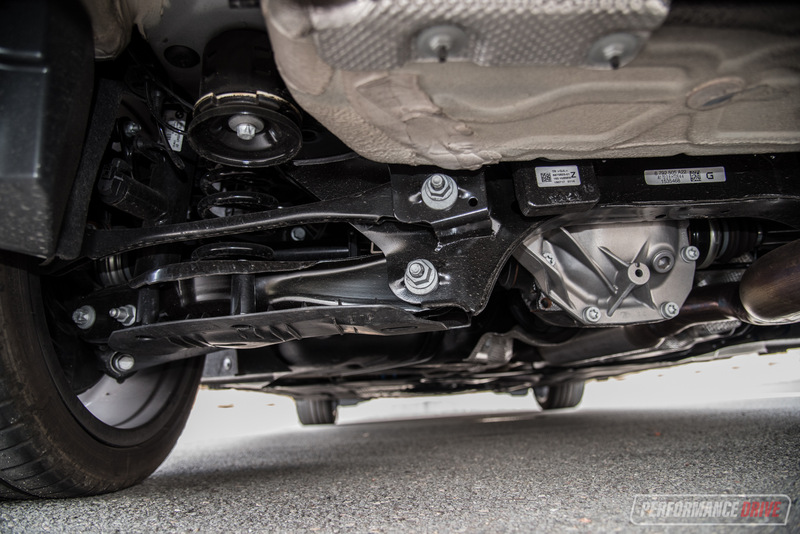 One of the main reasons the M140i handles so well and so directly is its low weight. Even compared with the new Honda Civic Type R‘s tare weight of 1365kg, the M140i’s weight of 1418kg is very impressive considering it has to house a full tailshaft and rear differential assembly, as well as the big six-cylinder engine up front. 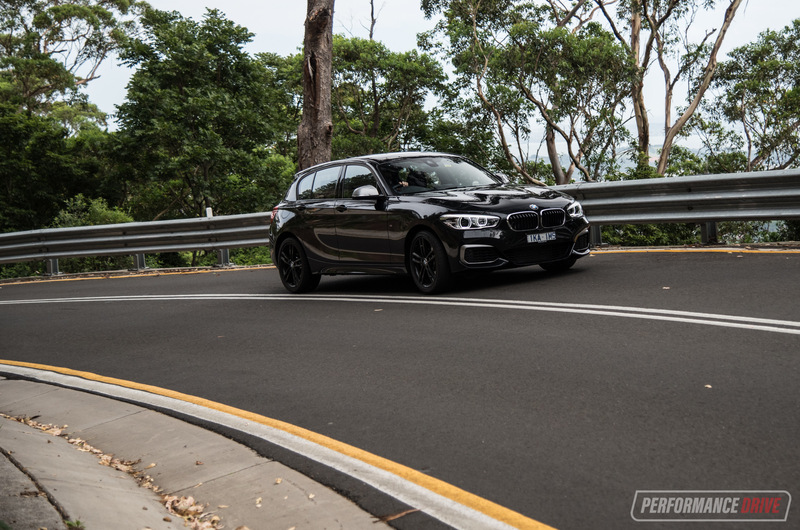 Whether you’re sauntering around town or galloping through a forest road the M140i is an interactive and exciting car to drive. The sound of the engine screaming and soaring through the rev range, and the feeling through the seat of your pants constantly reminds you of how cool this car really is. BMW does use a sound-enhancer system (Active Sound Design) which we think becomes more evident in Sport Plus driving mode. This speaker-based setup is designed to amplify the engine sound in the car. But it is one of the least obvious systems we’ve heard. It kind of matches well with the natural characteristics of the inline six note, and you can still hear the actual engine making its melody in the background. It’s like a thin layer of fake sound that tries to garnish an already delicious dish. Why it needs it in the first place is beyond us. Perhaps the in-car noise would be too quiet to earn hot hatch approval? On the outside, the engine and exhaust sound is simply awesome. Take a listen in our video below and see for yourself. 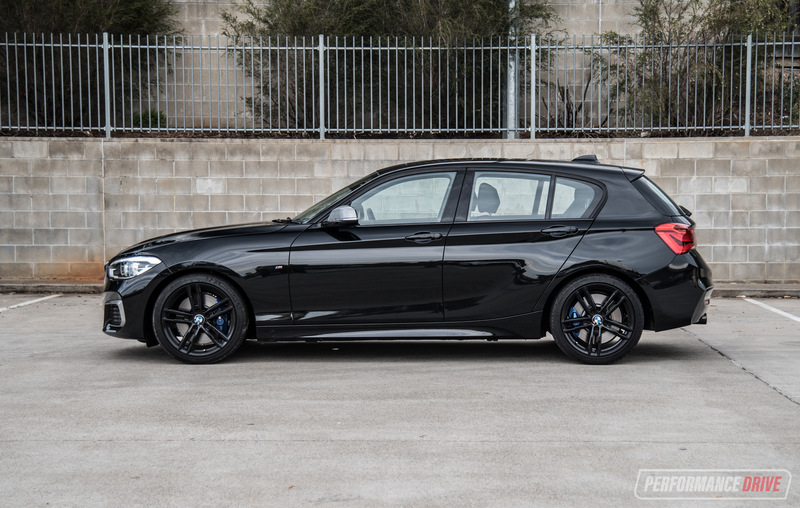 The M140i, especially in manual form, is just such a sensory overload. It sounds like perfection and handles like a dream, and the manual gear shift is one of the most enjoyable things you can do with one hand. And now with a starting price below the $60k mark, it is incredibly tempting. We’d even go as far as saying this is the most appealing hot hatch currently on the market. 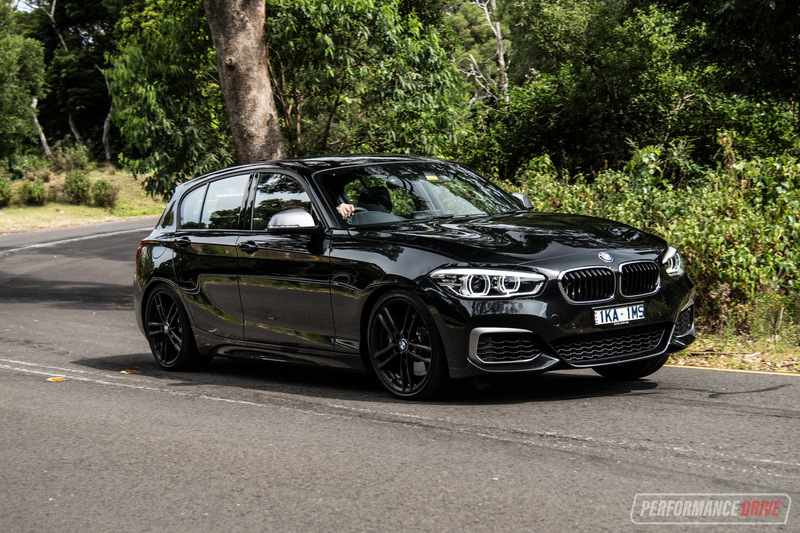 Add in the point that it’s very likely to be the last-ever mainstream, rear-wheel drive inline-six hatchback, with a manual option, you couldn’t ask for any more reasons to buy. This is one of those vehicles we didn’t want to hand back after the test – we’ll be watching the 0-100km/h and engine sound video over and over again to keep the drive experience firmly in our memory.